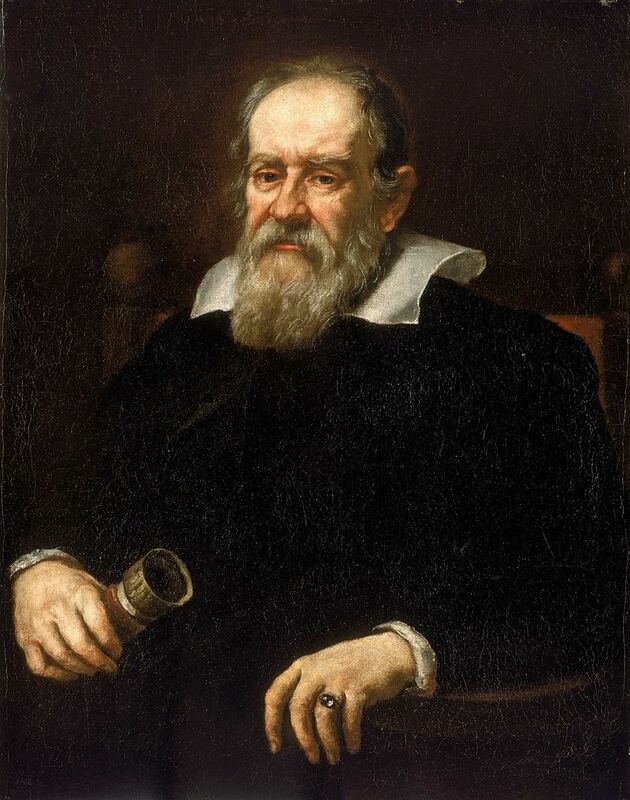 On October 31, 1992, the Roman Catholic Church admitted it had been wrong to condemn Galileo Galilei for promoting the Copernican astronomical theory. After a 13 year investigation into the persecution of Galileo that led to his official condemnation in 1633, Pope John Paul II rectified a wrong that forced the Italian astronomer and physicist to live the last years of his life in exile, and worse yet, to recant his proven discoveries to save his hide. But Galileo had influential patrons such as the Medicis and Barberinis, and Pope Urban VIII happened to be a member of the Barberini family, as well as a close friend and great admirer of Galileo’s. Pope Urban VIII also, before being raised to Pope, opposed a previous attempt at condemning Galileo in 1616. In the end, the Pope allowed Galileo to continue his study into both the Ptolemaic and the Copernican theories, on the condition that he drew no definitive conclusion that would contradict Church teachings. Instead, he was to merely present the cases for and against both sides of the argument, staying neutral in the telling. Galileo agreed, but when he published “Dialogue Concerning the Two Chief World Systems,” it was a ringing endorsement of Copernican thought in direct defiance of the Pope’s order. However, Galileo, who was Catholic himself, took the position that this was not in opposition to scripture because not every passage should be taken literally, particularly ones dealing with lyrics to songs, a position shared by many even among the clergy. He might have gotten away with this even still, except for one little fact not often talked about. The Pope had requested that Galileo include the Pope’s own thoughts on the matter. Galileo did this, but in such a way as to make the Pope look the fool, incorporating his ideas into the arguments of “Simplicio,” (with connotations of “simpleton” in the name) who defended the Geocentric view, often with bumbling errors in the process. It’s not thought that Galileo intended to make fun of the Pope in doing this. He was no fool himself and even explicitly stated in the preface that “Simplicio” was in homage to the philosopher Simplicius. Nevertheless, Pope Urban VIII certainly felt like he was being mocked in seeing some of his own words put into the mouth of Simplicio. Needless to say, making the Pope feel like you were publicly calling him an idiot was not a good idea when you’re writing already highly controversial scientific notions about the universe that is likely to antagonize the Catholic church. Because of his perceived heresy, Galileo was summoned to Rome to appear before the dreaded Inquisition. During his trial, Galileo fervently denied that he had advocated for the Copernican view in his work, despite all evidence to the contrary. Despite threats of torture, he still held onto his denial. Nevertheless, he was convicted of “suspected heresy” and was required to “curse and detest” the Copernican viewpoint. Galileo was placed under house arrest in his home near Florence until his death in 1642 at the age of 77 (though was permitted to travel to Florence to see doctors). Beyond being under house arrest, his punishment was relatively light compared to others who’d been convicted of heresy. He was, for a time, required to recite seven psalms of penitence once per week, but Maria Celeste, his daughter, was eventually able to convince the church to allow her to fulfill this punishment for him. With nothing better to do while confined to his home, he wrote perhaps his most famous work, Two New Sciences, which more or less summarized his life’s work. After several failures to get this new work published, due to the prohibition on any of his writings, he finally found a publisher in Holland willing to risk the Catholic church’s ire in publishing it. The leader of the investigation conducted in 1992, Cardinal Paul Poupard, said, “We today know that Galileo was right in adopting the Copernican astronomical theory,” a statement that would have put him at risk of being arrested, and possibly executed, by his own Church just a few hundred years previously. Pope John Paul II said he wanted to make clear that “the Galileo case has been a sort of ‘myth,’ in which the image fabricated out of the events was quite far removed from the reality. In this perspective, the Galileo case was the symbol of the Church’s supposed rejection of scientific progress.” The whole business was rather a “tragic mutual incomprehension” where both parties were at fault. It never should have happened in the first place, the Pope insisted, because when faith and science are properly understood, they can never be at odds. It is important to understand that in that day and age there was no separation of church and state…in fact the two were deeply intertwined. Heresy was not based upon anti-Scriptural teachings, it was based upon not kneeling to what the Church-State said…regardless of whether it was right or not. To disobey a papal order…no matter how erroneous…was a crime. William Tyndale defied the church prohibition against translating the Bible into anything except Latin. Later on the church changed its mind, but still even today, the Catholic Church officially considers Tyndale to be a heretic. Even though Galileo was right, and they know he is, there will be no official “we’re wrong” from the Papacy. To admit a serious error in theology would open a dangerous closet filled with many more skeletons. You are quite wrong — and repeatedly so. No. The sin of “heresy” was, is, and always will be charged ONLY when there is an obstinate refusal, by a Catholic, to believe certain unalterable dogmas (teachings of the most important and fullest-defined level) regarding faith or morals. There was, is, and never could be any Catholic dogma regarding geo-/heliocentrism, because that is a matter of science, not of religion. You are repeating a widespread anti-Catholic falsehood. There never was a “church prohibition against translating the Bible” into vernacular languages. There were many such translations, even before Tyndale was born. What got him into trouble was MISTRANSLATING some passages of the Bible, resulting in his spreading erroneous doctrines. You must not have even bothered to read this article, which made it clear, more than once, that there was an apology issued, by Pope St. John Paul II, for the injustices inflicted upon Galileo by certain churchmen (a deliberative body of Cardinals, who were not overruled by the pope of the time). Clearly there was an error in the judgment of an individual (Galileo) and an error in private “theology” (regarding the interpretation of certain Scriptural verses). There was, however, no error in dogma (such an error being impossible, because the Holy Spirit protects the Church from officially teaching anything erroneous to be held by all the faithful). You were also wrong to say that “Galileo was right” (in the sense of “completely right”). While he was right to believe in heliocentrism (adopting what had been theorized by the Polish Catholic cleric [! ], Copernicus), he failed to provide convincing and correct proofs for believing what he did. Even protestant scientists, elsewhere in Europe, correctly rejected some of what Galileo wrote. It was some years before other scientists arrived at the full and correct proofs of heliocentrism. When I saw the topic of this article, I began to hope that “Today I Found Out” [TIFO] may have, at long last, published something that was full of truth — and lacking in lies — about the Catholic Church. My hopes were dashed immediately after I began to read. I should have known that this writer would have entered into another of her countless attacks on the only church that Jesus founded. The errors in this article are just too many for me to mention and refute myself. It would take hours that I do not have to spare. I will simply critique the first paragraph — so that readers will be able to see that they cannot trust anything else in the article — and I will profvide a few links to reliable Internet pages, where the facts about Galileo are presented and the centuries-old, anti-Catholic myths are debunked. The unofficial (and in some circles, anti-Catholic) term, “Roman Catholic Church,” should not be used at TIFO. The Church calls herself, “the Catholic Church,” not the “Roman Catholic Church” (a term invented by anti-Catholics in England between 1500 and 1700 to accuse Catholics of being loyal to “Rome” but disloyal to the English king). To say that there was a “persecution” is wrong. Galileo was treated with great respect throughout his life, even after an incorrect judgment was rendered against him. He was treated with greater respect than he had given to the pope, whom he mocked. He was treated very gently, compared to others that had been convicted of crimes. It is also ridiculous to say that Galileo had made any “proven discoveries.” First, he promoted mainly what OTHERS had “discover[ed],” even going back many centuries — culminating in the theory of the Catholic cleric, Copernicus (who was not condemned in any way). Second, what Galileo promoted, he failed to “prove!” His “proofs” were faulty and were rejected by Catholics and non-Catholics alike. Finally, the headline of this TIFO article is in error. It states that Galileo “was convicted of heresy.” That is not true. When judged and sentenced, he was only referred to as “suspected of heresy.” He was not excommunicated as a heretic. He was not tortured. He was not executed. He was not even fined, much less left in poverty. Thank you very much for the opportunity to set the record straight.